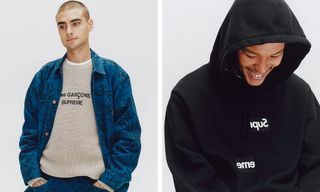 The (almost) annual COMME des GARÇONS SHIRT and Supreme collaboration is the ultimate marriage of Japanese fashion and New York City streetwear. 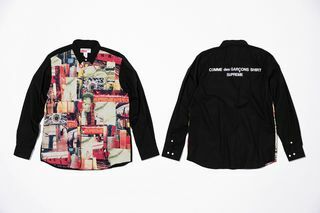 Rei Kawakubo, founder of COMME des GARÇONS, launched her label in Tokyo in 1969, with diffusion lines COMME des GARÇONS SHIRT and COMME des GARÇONS PLAY following later. 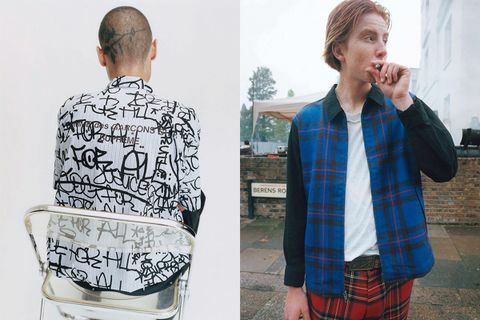 Since then, the label has become one of the most coveted and influential names in fashion. 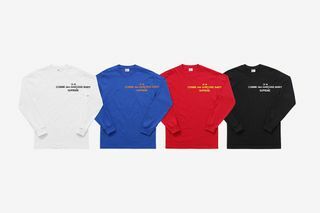 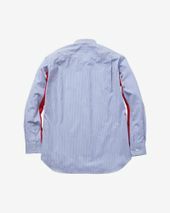 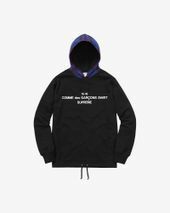 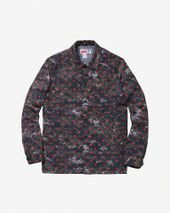 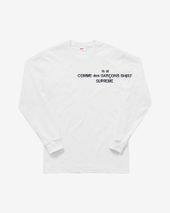 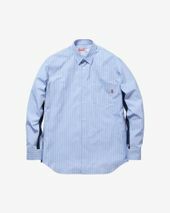 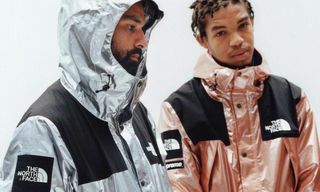 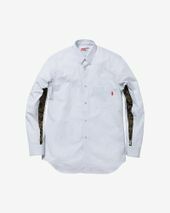 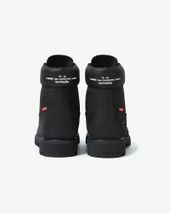 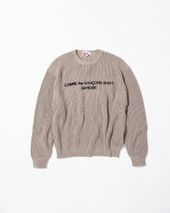 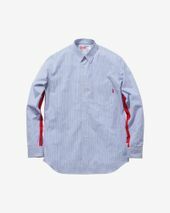 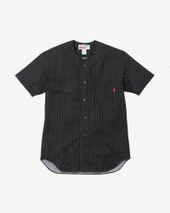 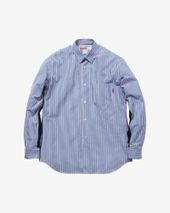 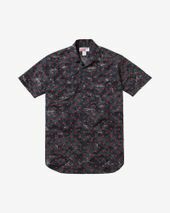 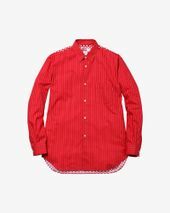 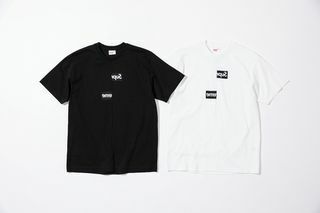 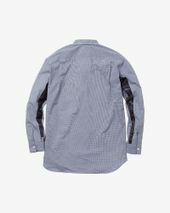 As with most Supreme collaborations, such as the brand’s continuous project with The North Face, Supreme x COMME des GARÇONS SHIRT reinterprets classic pieces with a new set of style codes. 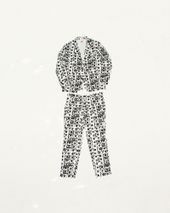 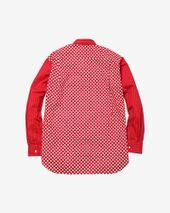 In this case, items are elevated with Rei Kawakubo’s favored avant-garde design motifs, like polka dots, unexpected fabric combinations and fractured graphics. 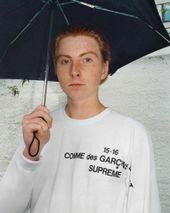 Now in its sixth season, here’s a full history of COMME des GARÇONS SHIRT x Supreme collabs. 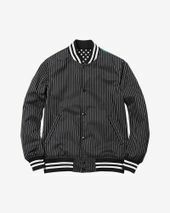 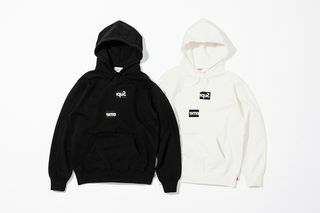 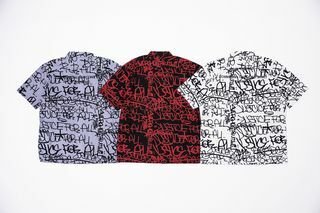 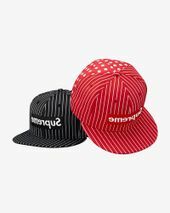 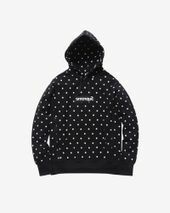 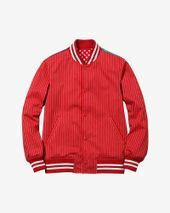 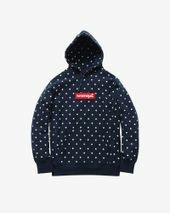 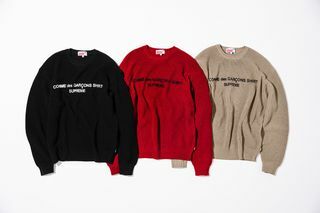 The first collab from Supreme and CdG featured polka-dot hoodies and tees with a mirrored box logo, a set of striped oxford shirts with a red Supreme stripe running up the inner sleeves, and matching camp caps. 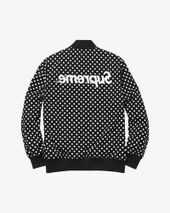 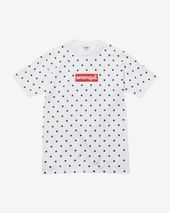 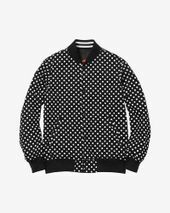 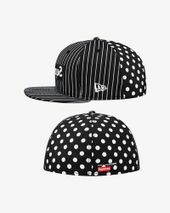 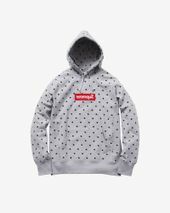 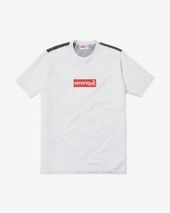 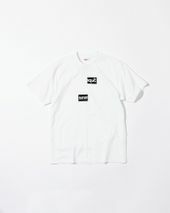 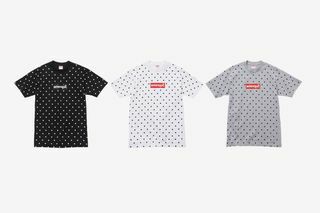 This concept of mirroring and splitting the Supreme logo has since become a hallmark of the collaboration, as have polka dots, which are intrinsic part of COMME des GARÇONS’s design language. 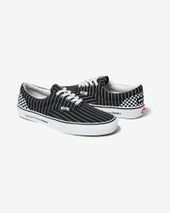 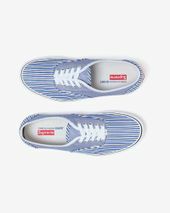 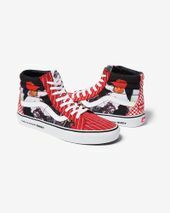 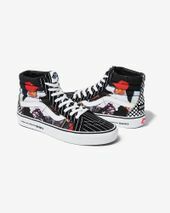 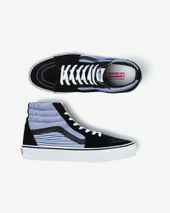 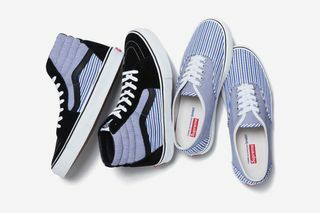 This inaugural drop also introduced a line of Supreme x COMME des GARÇONS x Vans Sk8-Hi and Authentic sneakers, available in the same striped fabric as the shirts. 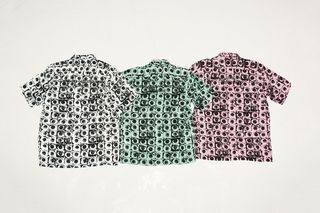 The duo’s second drop saw a little more of the Japanese label’s flair for disruptive patterns emerging. 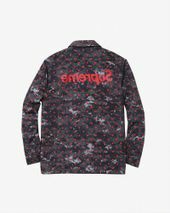 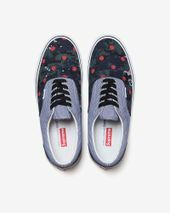 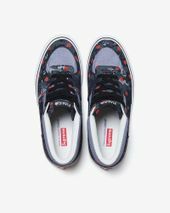 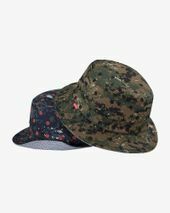 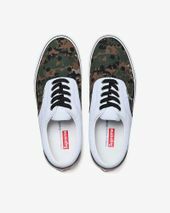 The collab featured two pixelated camouflage prints, with a contrast red polka dot pattern on top, and an oversized, reversed Supreme logo on the back. 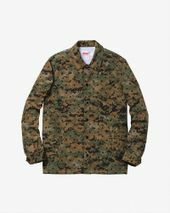 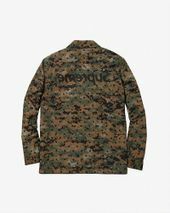 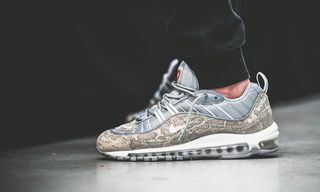 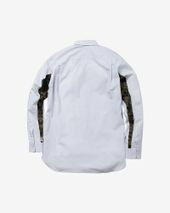 The drop also featured chambray shirts, box logo tees with camo on the back, and following on from the 2012 collection, a series of gusset shirts with contrast pattern and Supreme branding on the inner sleeve, this time in the season’s pixelated camouflage. 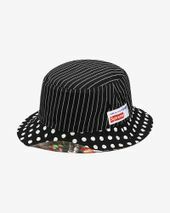 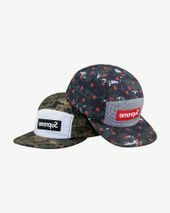 Also dropping this season was a batch of accessories including zip wallets, bucket hats, camp caps, and a set of Vans Eras and Half Cabs. 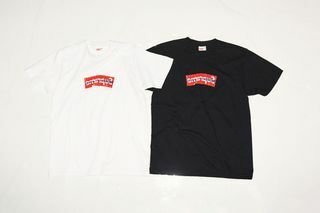 2014’s Supreme x COMME des GARÇON SHIRT drop paid homage to the late, great New York City skater and actor Harold Hunter. 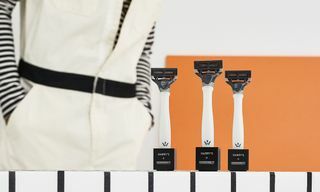 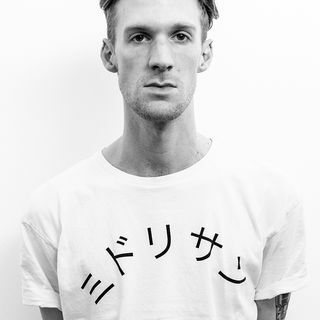 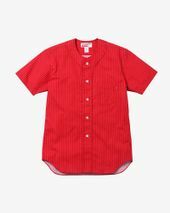 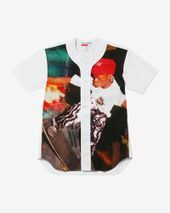 Hunter was notable for his appearance in Larry Clark’s seminal ’90s film KIDS, which is inextricably linked to the ’90s NYC skateboarding scene and Supreme’s Lafayette store. 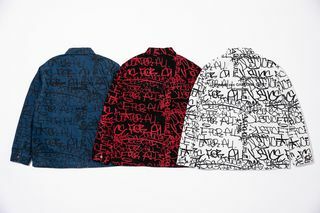 This collection included a reversible varsity baseball jacket, button-down shirts, baseball shirts, New Era 5960 baseball caps, reversible bucket hats and Vans Eras. 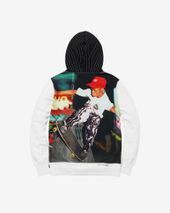 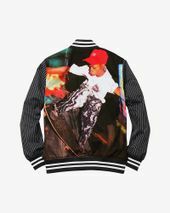 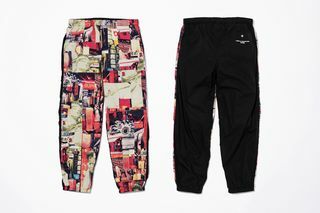 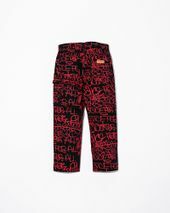 Images of Hunter skating were used throughout the collab, and following the drop, Supreme made a donation to the Harold Hunter Foundation, a non-profit organization that aims to help NYC youths realize their full potential. 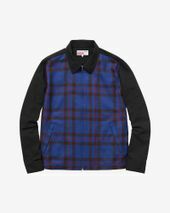 For FW15, COMME des GARÇONS SHIRT and Supreme leaned into workwear and clashing red/blue flannel prints, in a homage to fellow luminary and disruptor Vivienne Westwood. 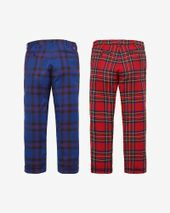 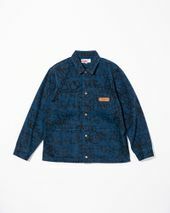 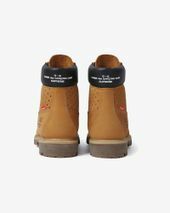 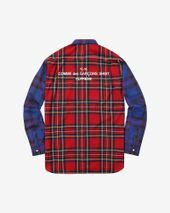 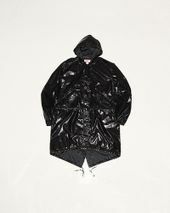 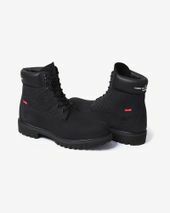 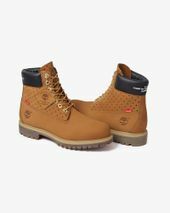 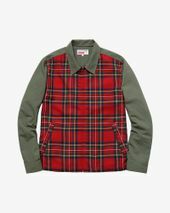 The drop consisted of work jackets, shirts and hoodies with COMME des GARÇONS SHIRT branding and tartan panelling, a long sleeve T-shirt (with “15-16” text to denote the season), flannel trousers in red and blue, and a new addition to the Supreme x CdG range: a Timberland 6-inch Premium Waterproof boot, a high fashion tribute to the ultimate New Yorker shoe. 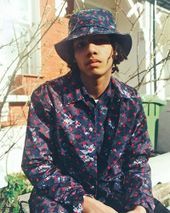 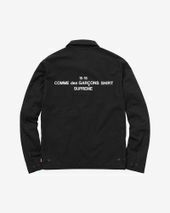 Following a conspicuously absent 2016 collection, 2017’s Supreme x CdG drop arrived in spring instead of fall, and this seasonal shift resulted in one of the duo’s best collaborations to date. 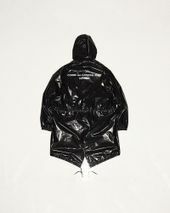 This collection contained shiny polyurethane fishtail parkas with white branding on the back, a reference to the original COMME des GARÇONS staff jackets as worn by employees at Paris Fashion Week. 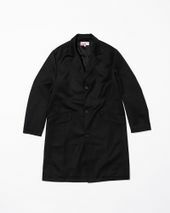 These atelier-style coats are now a collector’s item and streetwear grail, fetching for astronomical prices online. 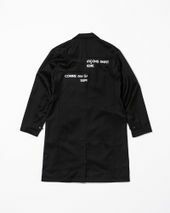 For COMME des GARÇONS to reference itself here is peak Kawakubo, who often includes these kind of meta-references to the extraordinary COMME des GARÇONS archives in her designs. 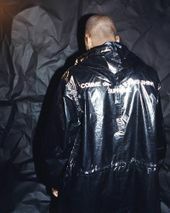 The idea of looking inwards, to avoid unwanted external influences and ideas, is one of the reasons COMME des GARÇONS has managed to maintain its cult legacy. 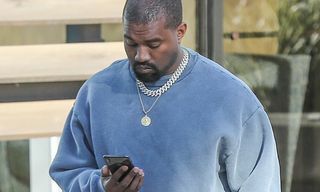 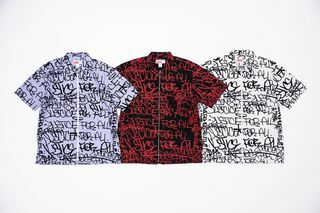 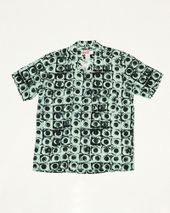 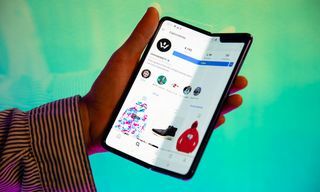 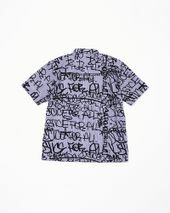 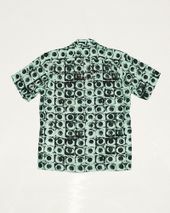 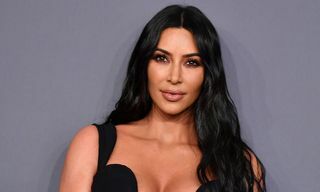 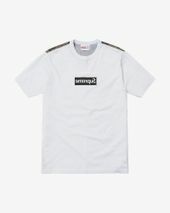 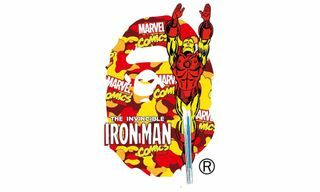 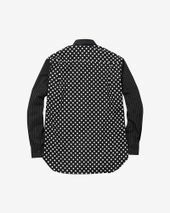 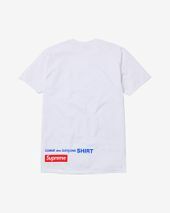 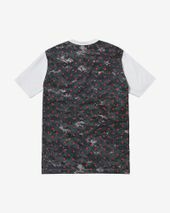 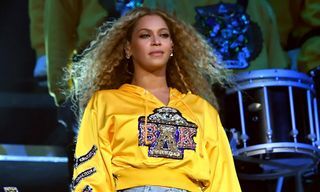 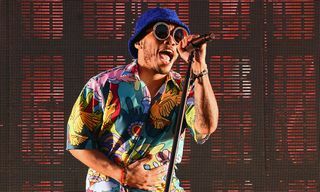 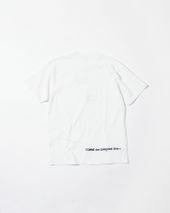 The drop also featured box logo tees, and a recurring eyeball print which arrived on a three-button gabardine suit and a short-sleeve shirt. 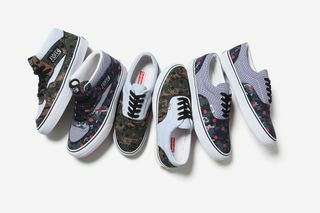 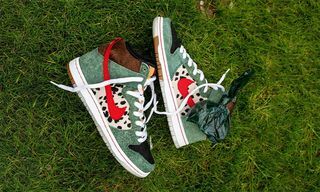 For accessories and footwear, the eyeball print was continued onto wallets, and also on a crisp pair of Nike Air Force 1s. 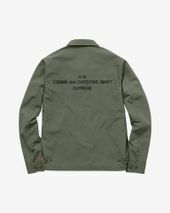 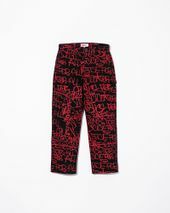 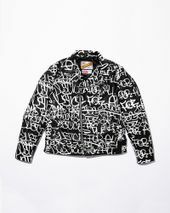 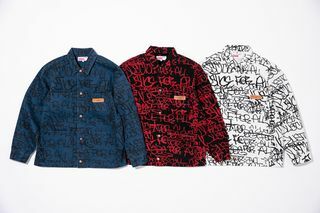 This year’s Supreme x COMME des GARÇONS SHIRT drop featured original artwork from legendary graffiti writer Earsnot, which was scrawled onto a Schott perfecto jacket, chore coats, painter pants and zip-up shirts. 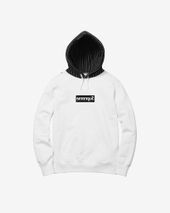 The box logo was once again spliced and distorted, this time across tees, hoodies, and a wool overcoat. 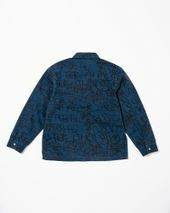 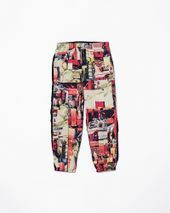 The drop also introduced some knitwear, with fisherman-style sweaters, and some patchwork graphic shirts and pants. 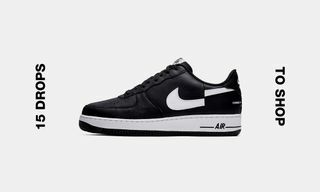 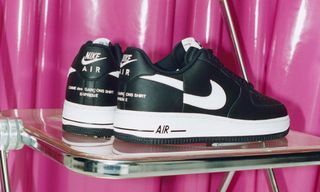 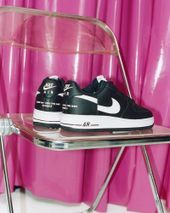 For sneakers, the collab featured a Nike Air Force 1 in a monochrome colorway with a severed Swoosh. 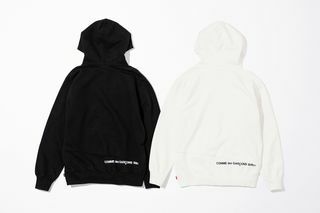 The decision to sever highly cherished symbols such as the Swoosh and box logo presents these brands in a revolutionary new context where they are still recognizable, but stripped of their meaning, all of which pertains to all the disruptive flair of a classic COMME des GARÇONS item.